When the word dehydration is talked about most people think of not drinking enough water. There are actually 2 types of dehydration Water or Lipid dehydration. In our last email we discussed the effects that water dehydration has on our body whereas today we will focus more on what lipid dehydration is and how it differs from water dehydration and things that you can do to help change this for both general health and for your skin health. A great topic of conversation that has increased momentum over the past few years is debunking the sugar/fat myth. This theory once it was taken up during the 60’s and 70’s has led to devastating outcomes for peoples general health and hopefully the message is getting out there about the dangers of sugar and low fat and how the right fat is not only good for us but essential for good health. It is important to understand a bit more about the pathways that we absorb fats. We can become dehydrated through many sources and some of these are Genetic, environmental, dietary & lifestyle. Some of the Signs of dehydrated skin and the different presentation between both. ** Many people have combined like a T zone on your face but having both water & lipid dry which influences each other as low lipid layer will eventually lead to increased water dehydration as the skin barrier is not strong enough to stop water loss. Whereas if someone is water dry then it compromises the production of lipids from the cells, it is a loose loose for everyone and can be confusing K so keeping up fluid levels is essential. There are some who are more prone to Lipid dehydration. Dehydration from low Essential fatty acids (Lipid) is especially easy if you are vegetarian or vegan. *When someone is low in good fats it can take a while to turn this around. Sea buckthorn and macadamia nuts are the highest form of omega 7 and is a good option to support and help lift your EFA levels while foods or supplements do their job. It is the most important to get your glowing radiating skin from the benefits of inside out but also using skincare products including soaps that are high in EFA like olive oil is a great step to supporting your skin from the outside in and helping to maintain a good quality hydro lipid barrier as explained earlier. 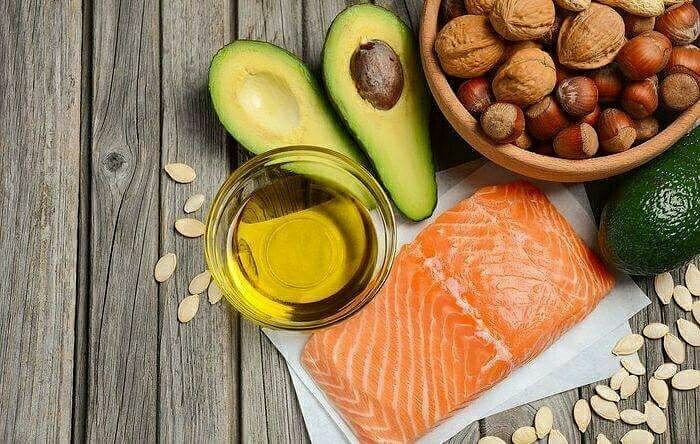 I hope you can increase the good fats in your diet, If we can eat a small amount of foods from this group daily will help with more than good skin but ultimately good health.